Steam spouts from the hot springs below, while icy winds blow across the surrounding mountaintops. Rich fauna dot the landscape of snow, and azure blue skies look down on the lush rainforests, wide creeks and sandy coastlines. This is New Zealand, a country of myriad hues whose rugged natural beauty remains untainted even as it curves with the contours of change and melds effortlessly with the world network. The country’s pride in its raw and pristine landscape is personified in its national symbols – the silver fern and the kiwi. Situated on the Pacific Ocean, New Zealand is comprised of the North Island and the South Island, flanked by many small ones on its vestiges. Its neighbors include little known atolls like Tonga and New Caledonia. Once isolated amidst the Pacific blue, New Zealand is now a prominent engraving in the colorful frieze of globalization. The native Maori christened the island Aotearoa, which means, The Land of the Long White Cloud. The Polynesians arrived first into the ragged terrain followed by the Maoris who populated it with their culture and legends. They arrived about a 1000 years before the Europeans and still form the enriching ethnic core of New Zealand. The European influx began with Abel Tasman, a Dutch navigator, who first spotted the island in the 17th century. Dutch cartographers picked the name New Zealand after the Dutch province of Zeelandia. Tasman was followed in 1769 by James Cook, a British explorer, who expanded the unassuming spot on Tasman’s map to a well-charted out territory, claiming the land for Britain. 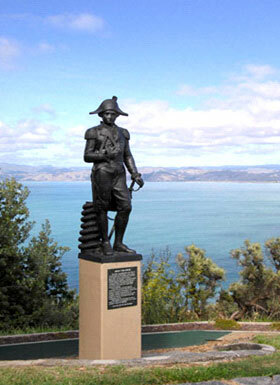 This commemorative bronze statue on the North Island honors British Captain James Cook, the first to circumnavigate and map out New Zealand. In a bid to curb anarchy and protect British traders, the British government signed the Treaty of Waitangi with the Maori chiefs on February 6, 1840. According to the Treaty, the Maoris ceded authority to the government while the British were guaranteed the newly acquired Maori land and protection of their rights. Between 1840 and 1860 about 40,000 British settlers arrived, and since then, the New Zealand authorities have assisted many migrations to populate their land. The economy at this time was driven by the rush to mine gold, which in turn gave a fillip to commodities and exports. Sheep farming particularly gained prominence in the 1850s, and New Zealand wool is held in high esteem even today. Towards the end of the century, frozen meat and dairy products became a prime export to Britain. New Zealand’s economy boomed on a foundation of exports, and an ambience of plenty reigned until the World War I. New Zealand had always defied the conventional image of hegemony displaying a freethinking mind and autonomy. It clinches the honor as the world’s first country to allow women to vote way back in 1893 and evidenced its tolerant views by being one of the earliest to adopt old age pensions in 1898 and to provide unemployment and health insurance. A strong identification with Britain made outlining New Zealand’s separateness a sluggish process. The silhouette of New Zealand’s individuality grew bold with the signing of the Treaty of Versailles on its own without British chaperoning. The name “Maori” originally meant “the local or original people” as opposed to the “new arrivals” or Pakeha as the Europeans were known. Alcohol, guns and other destructive forces percolated on the island with the influx of the Pakeha, hurting the native population. Whites soon outnumbered other colors. Loss of land added to the crumbling populace in the mid 19th century and it marginalized the economy of the Maoris significantly. After a rise in their numbers during the 20th century, New Zealand’s National Census clocked the Maori strength at around 14% out of a total population, which is about 4.5 million. Postmodern times brought with it apologetic words from the government and the Queen herself for all the wrongs done to the Maori. Globalization acted as a life force and a catalyst for reconstruction, reviving New Zealand’s indigenous culture and rights. Universal symbols like the Internet and television pervaded lives, becoming a projection screen for the Maori, helping them awaken their voices and allowing more social visibility. But just as modern amenities and advancements added vibrancy to Maori lives, they also blanched their place in society. The liberalization of the 80s and 90s galvanized massive social and economic changes. Parallel tracks, hewn from the winds of change and an indulgent economy, were being laid in opposite directions. On one hand, the country began painting itself in vivid hues in the global sketchbook. But with each stroke forward it took one backward in terms of social disparities that impacted the Maori more than the Pakeha. The redistribution of income, the decline of the welfare state in terms of subsidized state housing and accessible medical care, were some factors that contributed to the Maoris’ social erosion. The definition of national identity had now expanded to include cross cultural representatives from all over the globe. People walked across to New Zealand on newly built bridges to form a culture that is now a potpourri of mixed lifestyles, ethnicities and tongues. New Zealand’s economic history began with the advent of the Europeans, who overpowered the native Maori people to establish their rule. The colonization by the British lasted until New Zealand gained full independence in 1947. 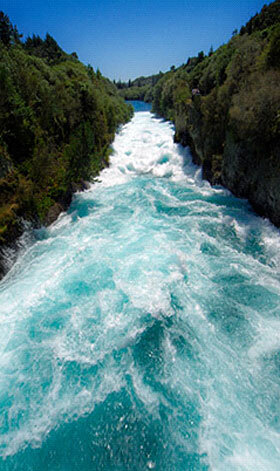 Thanks to heavy rainfall, New Zealand’s energy needs are met largely by hydro-electricity, generated from rivers such as the 425-km long Waikato. Unlike its bigger neighbor, customer, investor and supplier Australia, New Zealand does not produce much from digging up the earth. Yet, the small South Pacific nation caters to China’s voracious appetite by supplying the country with butter, cheese and milk powder in copious quantities. Naturally blessed with rain-fed green pastures, New Zealand accounts for one-third of the world’s dairy exports that also make up a quarter of the country’s export mix. Overall, exports account for about 30% of New Zealand’s GDP. Besides dairy farming and agriculture, New Zealand is also known for its manufacturing as well as services industries such as finance and tourism. Food processing, wood and paper products and metal fabrication constitute the manufacturing sector. 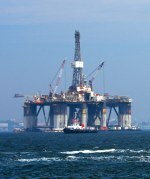 Australia is a major investor in the country’s financial services sector and owns some of its biggest banks. New Zealand’s bucolic beauty is a major draw for tourists from across the world, especially those from the U.K.
New Zealand’s trade with numerous countries has elevated its standing among developed economies. The country is a member of the Organization for Economic Cooperation and Development (OECD) and the Asia Pacific Economic Cooperation (APEC). Traditionally, New Zealand has maintained a soft spot for Australia. Kiwis and Australians are free to enter each other’s country to live and work. They share a common cultural vein and the bilateral relationship was formally cemented in an economic agreement called the Closer Economic Relationship (CER). The pact was signed in 1983 and consists of a series of agreements that cover free trade in most goods, market harmonization in services and capital, and mutual acknowledgement of many standards benefiting each other. CER has been beneficial to both parties, marked by a noticeable increase in trade. Currently, Australia is New Zealand’s single biggest export market, accounting for about 21% of its exports. 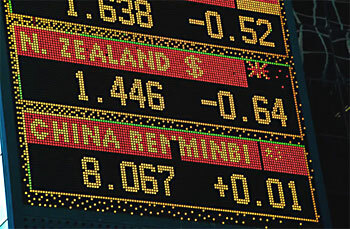 The New Zealand Exchange Limited (NZX) started operations during the Gold Rush of the 1870s. New Zealand is closely linked to the broader Asian region as well because of geographic proximity and shared geopolitical interests. The Asian connection began with the Gold Rush in the 19th century when there was a glut of Asian immigrants. 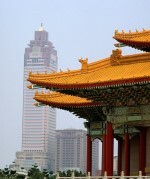 Today, with the Asian economies surging ahead, New Zealand has dipped its hands deeper into the Asian trade basket. Far from regarding the region as a formidable rival, New Zealand has made Asia a close ally, with the continent’s economic prosperity rubbing off on the island. Japan, China and Korea, among others, feature in the top 20 export destinations for New Zealand, with China emerging as its second largest trading partner. New Zealand’s relationship with the U.S. dates back to the early 19th century when America established a trade office in New Zealand to protect and promote its shipping and whaling interests. But formal diplomatic ties were forged only after 1942 when the Japanese threat spurred the countries to join hands. The United States is New Zealand’s fourth-largest trading partner after the European Union. 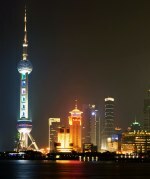 The country of just about 4.5 million people has a sizable number of immigrants, with Asia-born people constituting about 32% of the foreigners in the country, as The Economist magazine pointed out in an article. Immigrants from Britain and Ireland comprise 27% of the people born outside New Zealand. Thankfully, the influx of immigrants is not much of a touchy issue in New Zealand as it is in neighboring Australia, thanks to several factors: cultural, political and economic. Tolerance of other cultures is ingrained in the psyche of New Zealanders. Major political parties have largely encouraged immigration as they realized that nursing the newcomers would fetch them electoral dividends. With aspiring Kiwis heading for Australia in droves, it is generally accepted that New Zealand requires more workers to fill in the space. What’s more, New Zealanders seem convinced that the skill sets, education and the readiness of outsiders to invest in the country matter more than the color of the skin. Most likely, New Zealand’s housing market is a classic case of prosperity powered mostly by foreign money. Overseas students who are encouraged to settle down in the country also give a boost to the real estate sector. Small wonder New Zealand ranks higher in the World Bank’s list of countries for the ease of doing business as the country provides several incentives for entrepreneurs to establish their businesses. New Zealand’s transformation from a closed agrarian economy to a globally competitive economy happened over the course of the last three decades. Driven by its dairy and service industries, New Zealanders have witnessed a substantial rise in per-capita incomes during these years. However, the export-driven economy was hit by the recession in 2008-09 as trade flows dried up, only to return to moderate growth in the subsequent years. On the downside, the trade-focused sectors of the economy remain vulnerable to weak external demand and swings in commodity prices. Huge household debts and a chronic current-account deficit also plague the economy. Notwithstanding these handicaps, New Zealand’s open-door policy that encourages the entry of skilled immigrants and facilitates foreign investments in various sectors of the economy has helped it weather economic turbulence during various stages of its evolution. Comparisons with big neighbor Australia are quite natural given the similarities and geographic proximity, yet New Zealand has set its sights on increasing income per person by three-fifths by 2025, an ambitious goal to catch up with Australia’s envious feat.